When you tell someone that you have a few hours of spare time in Oxford, one of the first things they always suggest is going punting. 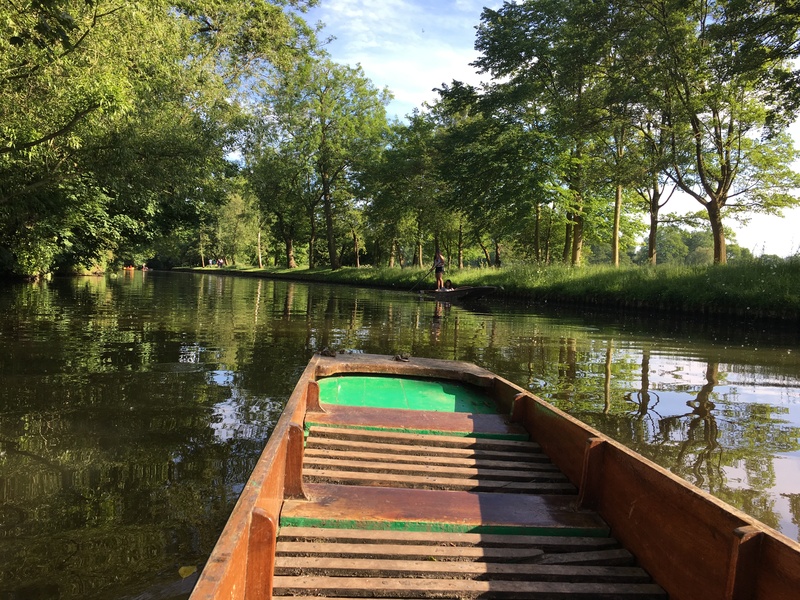 Punting involves using a pole to guide a small boat down a river and can be much trickier than talented punters make it appear. 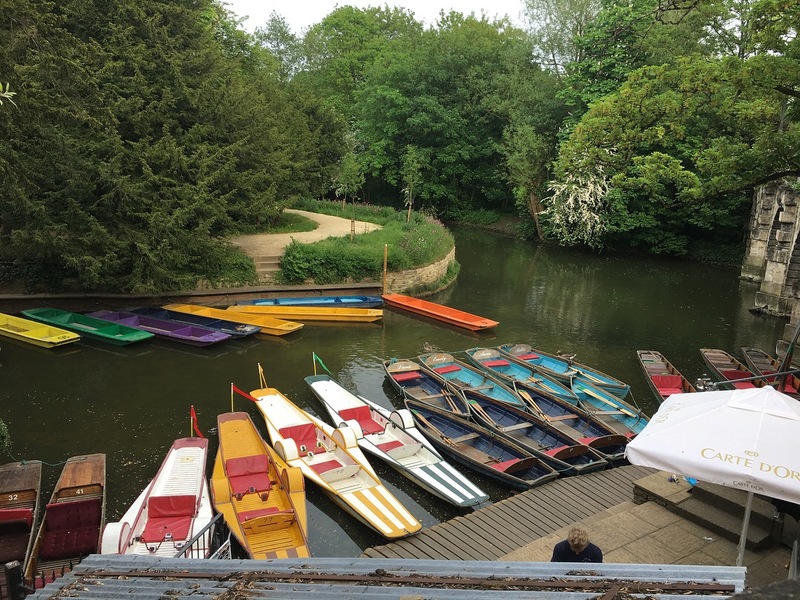 Not only is the Magdalen Boathouse quite close to where I live, but Mansfield College also rents out a punt that its students can book with more availability and for a cheaper price. 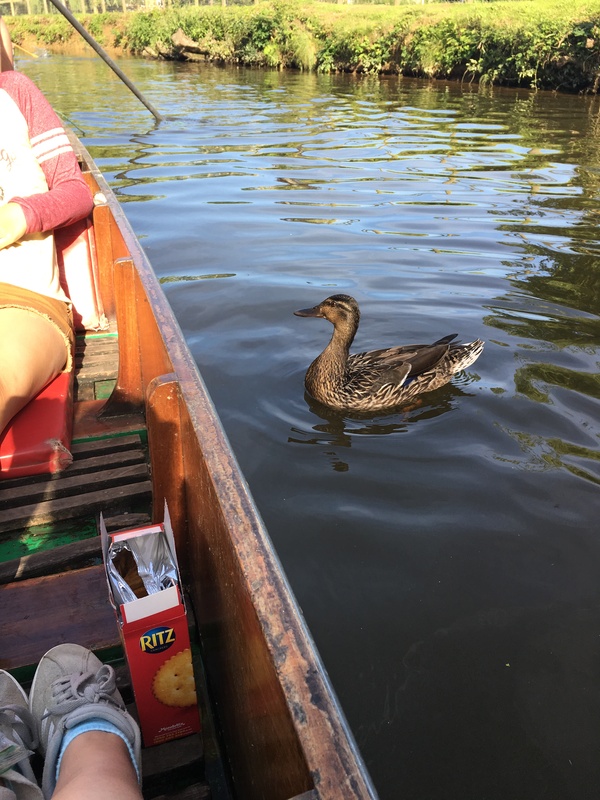 There’s nothing better than taking a punt out in the late afternoon with some friends, eating snacks, listening to music, and enjoying the usual Oxford punting drink: Pimm’s. 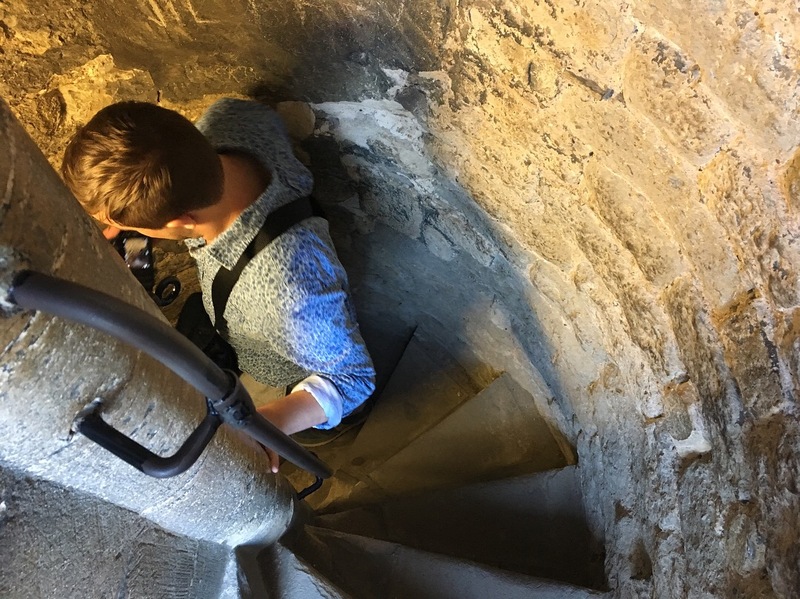 As you can probably tell from my past post about Carfax Tower, I adore climbing towers in Oxford. This is the perfect time of year to climb them because you can see some amazing views if you go on a clear day and you won’t be freezing at the top like you would in Michaelmas or Hilary terms. 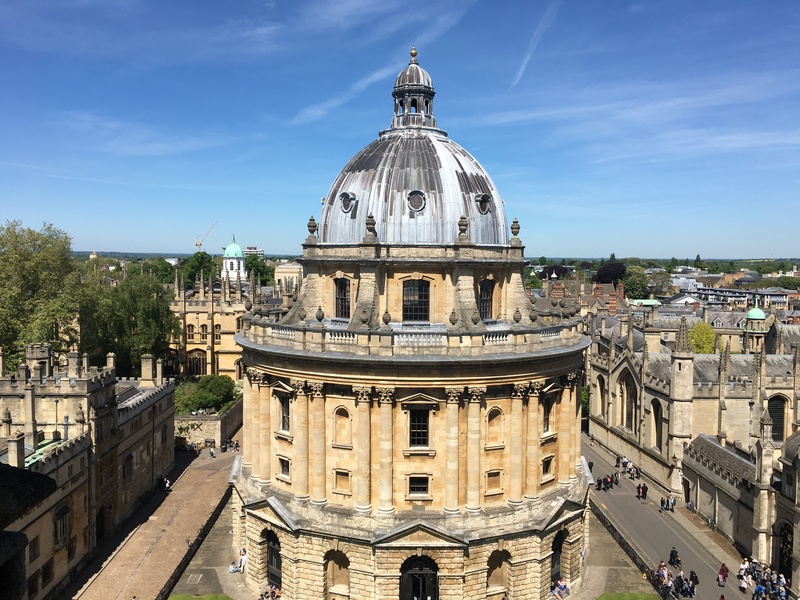 Recently I climbed the University Church of St. Mary the Virgin for the first time and the view of the Radcliffe Camera was absolutely breathtaking. There’s something about being elevated among Oxford’s many spires that gives you a different perspective on the city. 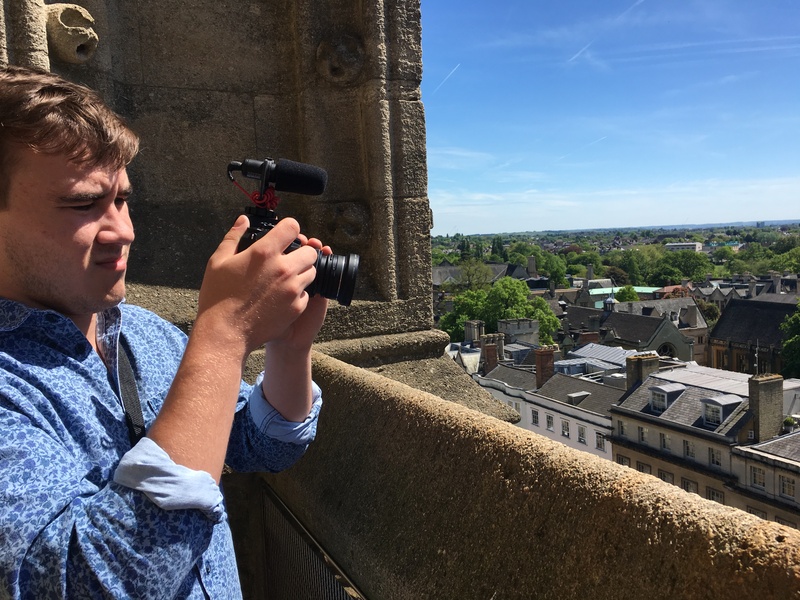 It’s easy to get bogged down in writing essays and preparing for tutorials, but moments like these remind you what being in Oxford is really all about. This past term I’ve discovered quite an affection for what I once thought was a boring, old-fashioned game. 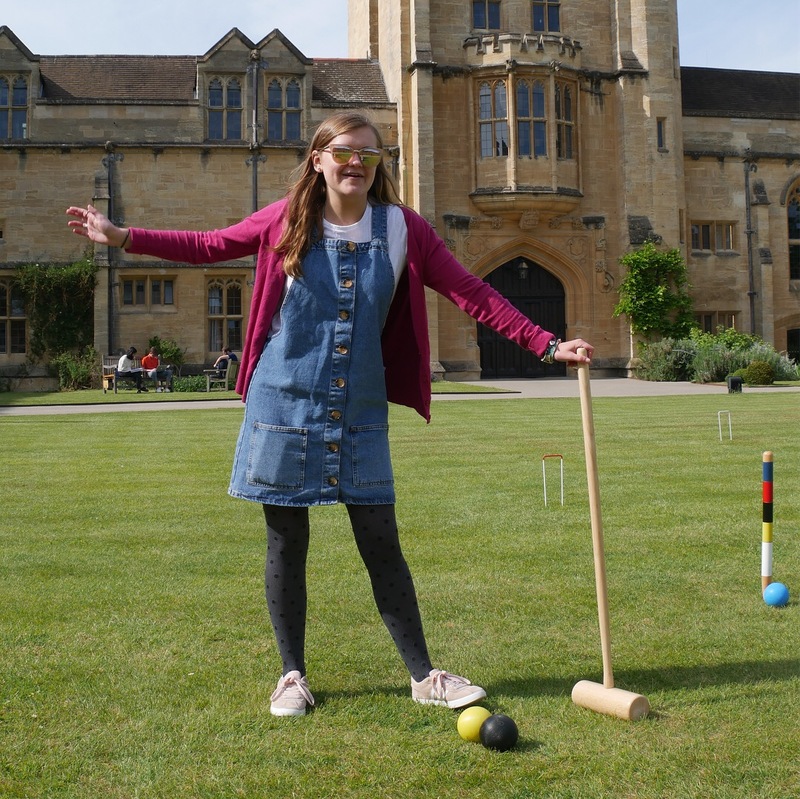 Playing croquet is the only time we’re allowed to step on the grass of the Mansfield center quad, so we’ve been taking full advantage of that privilege recently by taking out the croquet set whenever we have a spare sunny moment. 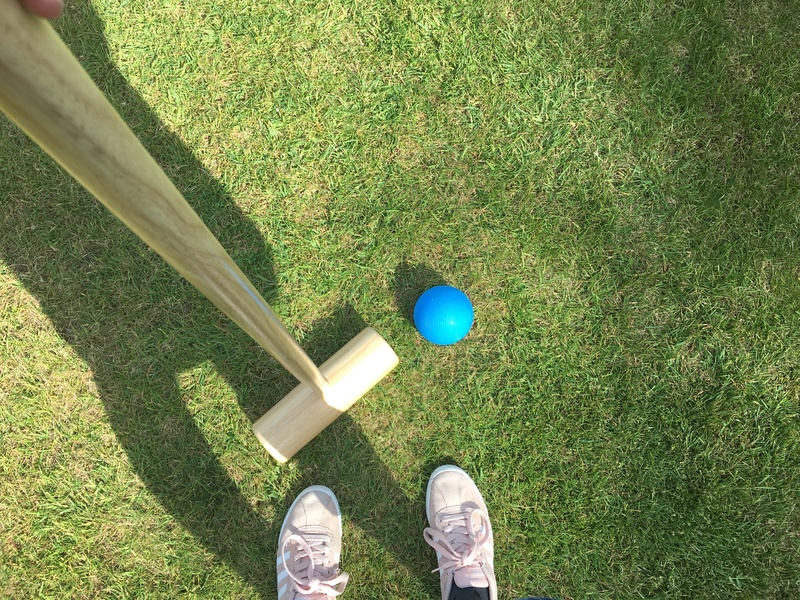 I was pleasantly surprised to find that I’m not that bad at croquet, as well as that it’s much more interesting and strategy-based than I initially expected. Playing in the midst of Mansfield’s beautiful campus is also so surreal–there’s very little that makes me feel so stereotypically Oxford-esque. These are just a few of the fun activities that have been distracting me from writing essays over the past term. It’s amazing how Oxford really comes alive in Trinity, particularly for those of us lucky enough to not have exams. I can’t even begin to describe how much I’ll miss these quaint summer moments! Have you ever been to Oxford in the summer months? Do you like playing croquet or going punting? Let me know in the comments section below! I need to visit this place! I live in the UK so I really have no excuse for not having gone already. Punting looks idyllic! I used to lived near Cambridge and I always wanted to go, but somehow never got around to it. Oh my goodness, everything is so pretty! 😀 Thanks for sharing your travels with us! We’ve had such nice weather and being outside is so much fun. I can so see why you have been exploring. Punting is a lot of fun! 😊 I have a few friends that live in Oxford and have managed to visit it in summer months as well. I love its historical vibe and well as fresh and young feel due to its wonderful students. The boathouse pictures look so lovely! And same, I love climbing towers (or any manner of nature hiking for that matter). 😉 Lovely post! I hope you are able to fully enjoy Oxford for the time remaining! 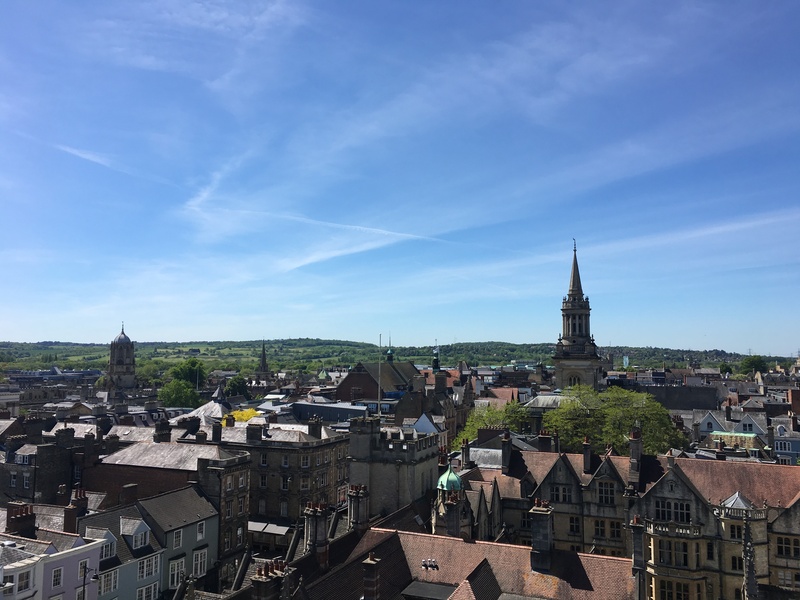 Your pictures are absolutely amazing and those views of the Carfax Tower is amazing! That little duck is also so cute. Oxford has always sounded like such a great place to visit and I would love to go there someday. These pictures are stunning, Holly! I love the sound of these activities, especially the playing croquet- I feel like it would seem like I was being transported to another time/world since you just don’t really see those as “summer” activities here in the US! That’s exactly how it felt! The entire summer term was basically me being like “What’s even going on/Where am I?” but in the best way 🙂 Thanks so much!